You should get your carpet from Pelletier Rug and Floor, the company that knows wool carpeting. We have an extensive selection of wool carpet from many quality wool mills. In addition, we have one of the finest selections of wool carpet remnants ANYWHERE! It is not uncommon to find a large wool carpet that normally sells for $3,000 for only $600!!! Wool is natural and healthy. And pure wool is durable, beautiful, and soft. Wool carpet is inherently insulating and sound absorbing. Wool carpet is a great choice for high use areas because it is great at hiding soil. Plus, wool carpet just makes your home look great! How does wool hide soil? Wool is opaque, unlike synthetic fibers which are translucent. Synthetic fibers accept dye, but their translucent nature makes them like fishing line: You can see through the fiber. This means that soil behind the yarn is still visible. It adds a dulling or dinging effect to the carpet. Since we can't see through wool fiber, dirt that is behind the yarn is invisible to us. Here's an example that most people understand. If you are wearing a wool coat and get some dirt on it, you can usually just brush the coat and the dirt disappears. But if you are wearing a polyester coat and rub the dirt, you end up with a smudge instead. Wool carpet will provide you with that same soil hiding ability. How is wool carpet different from synthetic pile carpet? One main difference is how they wear. It is common today that synthetic pile carpets come with a wear warranty. These wear warranties say that the synthetic pile carpets will not wear out (usually defined as 10% or more pile loss, over the entire carpet, not just traffic areas). Here's what you need to know about these warranties. Synthetic pile carpets do not wear out. They ugly out. They get matted, and lose their new appearance. Wool carpet wears completely differently. Wool will wear out . . . eventually. But while it wears, wool maintains a beautiful appearance. This is a key difference. Synthetics will "wear" virtually forever, but will lose their appearance. Wool maintains its appearance. Godfrey-Hirst makes fine wool carpets. Unlike other carpet mills, they actually produce their own wool in Australia so only the finest wool goes into their carpets. They have a beautiful selection of traditional wools and Merino wool carpets. If you want the best, we suggest Godfrey-Hirst's Merino wool. And we often have Merino wool carpet remnants in our large carpet remnant showroom. Radici is an Italian maker of wool carpet. Radici's strength is one of the best selection of colors in wool carpet. While most wool carpet manufacturers make many shades of neutral, Radici makes wool carpet in blue, red, rose, yellow, rust, green and many other colors. Nourtex makes both wool and affordable wool blend carpets. J. Mish's strength is woolen carpeting with great texture. An assortment of both neutrals and colors makes J. Mish a popular source of fine carpet. 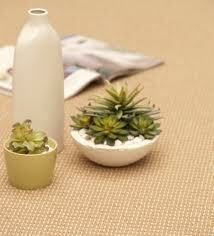 Plus, J. Mish has a completely natural, undyed wool collection for those who want a completely natural floor covering. And we have so much more to offer in wool carpet. We usually have quality carpet remnants from these makers as well as Bellbridge, Hibernia, Karastan, Woolshire and more!